If you are planning on doing demolition work, in order to be able to reconstruct or rebuild a property in Toronto, you must hire a qualified team of professionals to demolish any building or home. Depending on the area, and what is being demolished, certain equipment and machinery is required; of course a company must have the right licenses and they must be certified to do this work as well. So, before you hire a company, make sure you ask questions, and that you know what is entailed in the demolition, before the rebuilding work is going to get underway. 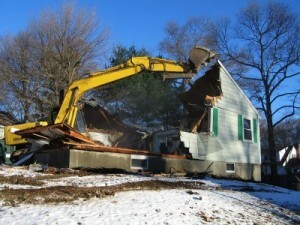 Any demolition Toronto company must have the licenses to do demolition work. Since it is a dangerous job, and can cause quite a bit of damage and possible injuries if not done properly, companies must be licensed for the task. Before hiring a licensed company, it is also important to ensure they use the latest techniques in demolition, properly clear the areas being demolished, and take all necessary precautions to ensure the safety of anyone that is nearby. With so many things that can go wrong, you must find a company that will take proper steps to ensure the job is done properly, and safely. If you are rebuilding, or planning on constructing something on the property or site that is being demolished, you have to hire a demolition Toronto company that can guarantee the job will be done in a certain time period. Although you want the area to be completely clear of debris and possible waste, once the demolition is completed. The company must take all precautions, but must also clear the area entirely, before foundation work and reconstruction work begin. So, hiring a company that can do the job in a timely fashion, and also guarantee they will do the job right, will be a factor in selecting the company to do the work. Many general contractors offer several services; from the demolition and cleanup, to building, design, and other services. If you want to work with one company through the entire process, from demolition to design, and building, you will have to take the time to find general contractors that provide all of these services. This is a great option, since you will be working with one company, and will build a great relationship; it is also a good way to save, both time and finances, since having one company do all the work, will require less time getting new licenses, and working with other companies to prepare the area. When demolition occurs, you have to be sure the right company is doing the work for you. It might be a small building they are bringing down, or a very large commercial property, or even a small home or condo. No matter what they are demolishing, when hiring the demolition Toronto company and contractors for the job, you must hire the right company, licensed contractors, and certified teams, if you want the job to be done properly.